Directed and edited by Tang Dafei. Translated by Iverson Zhang. Special thanks to Andy Boreham. You may not be able to judge the contents of a book by its cover, but you can often judge its age. Book bindings and manuscript pages are vulnerable to the ravages of time and neglect. Ensuring that the classics of the past are not lost is the job of Zhang Pinfang and a team of specialists working in an unobtrusive corner of Shanghai Library. Zhang, 50, is the head of the Document Preservation and Conservation Institute of the library. 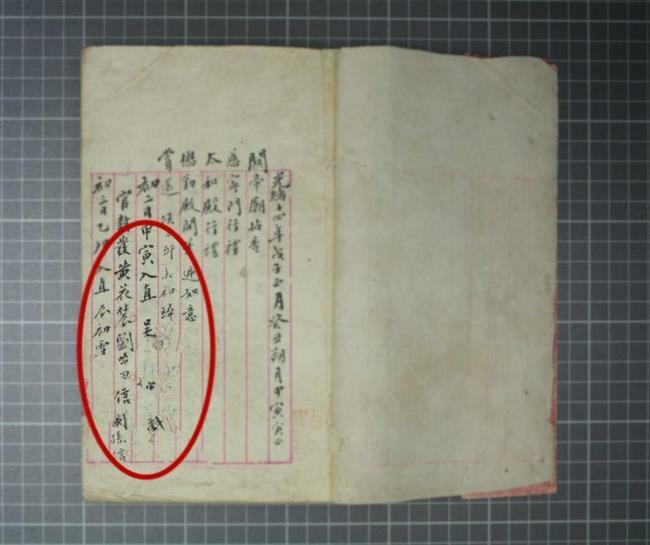 Over the past 10 years, the institute has repaired nearly 20,000 volumes, accounting for more than a 10th of China’s total manuscript restoration work. Book restoration, a centuries-old craft in China, is indispensable in the preservation of ancient writings. Every situation requires specialized treatment. Restoring a single page can take hours. 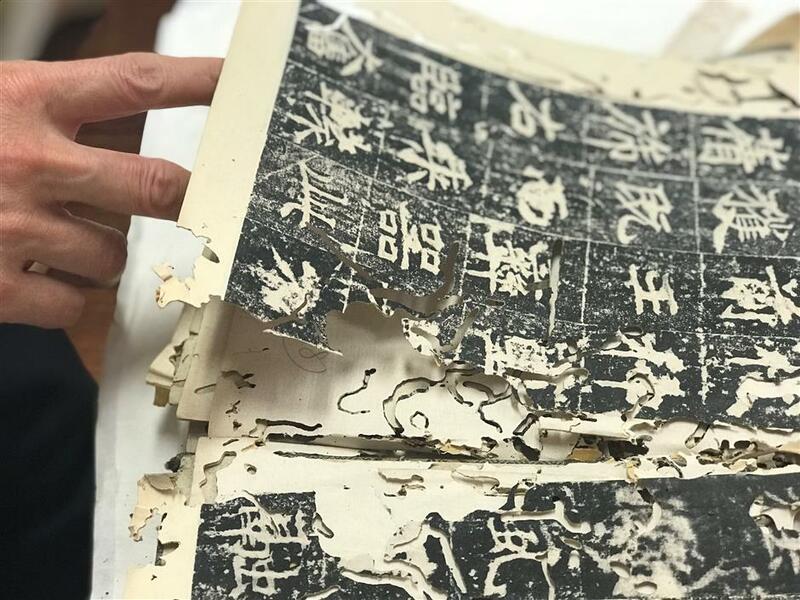 According to a survey by National Library of China in 2012, the confirmed number of ancient books in public institutions nationwide totaled more than 50 million, with about a third in some form of disrepair. Shanghai Library alone houses 1.7 million ancient books and manuscripts, with about 400,000 requiring some level of restoration. The task is formidable, but the library institute employs only about a dozen experts, who at most can handle 100 volumes a year. At the current pace, it will take hundreds of years to restore everything needing repair. Zhang started working at Shanghai Library in 1985 in the reader services department. Four years later, she was tapped to take a training course in book repair, and that's when her professional career began. She is now a second-generation restorer at the library. 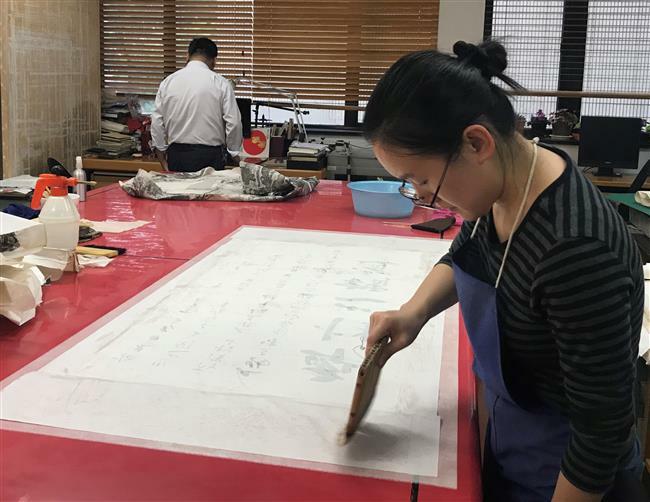 The workshop was initiated under a program sponsored by the Ministry of Culture, and her instructor was Zhao Jiafu, an expert then responsible for the library’s ancient book restoration department. 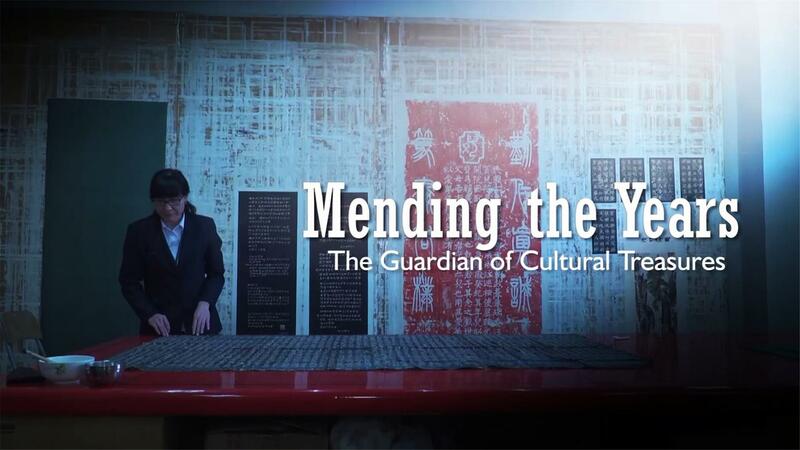 For Zhang Pinfang, every dip of paste matters in ancient book restoration. Due to bad preservation practices of the past, many pages in ancient books have been eaten by worms or grown extremely brittle. Zhao taught his students the intricate skills of restoring books and engraved stone inscriptions. Modern technology has improved the restoration task, speeding up the process. But machinery can repair only paper of fairly good durability because it requires soaking in a special liquid. Documents too vulnerable to withstand that process still require manual work. 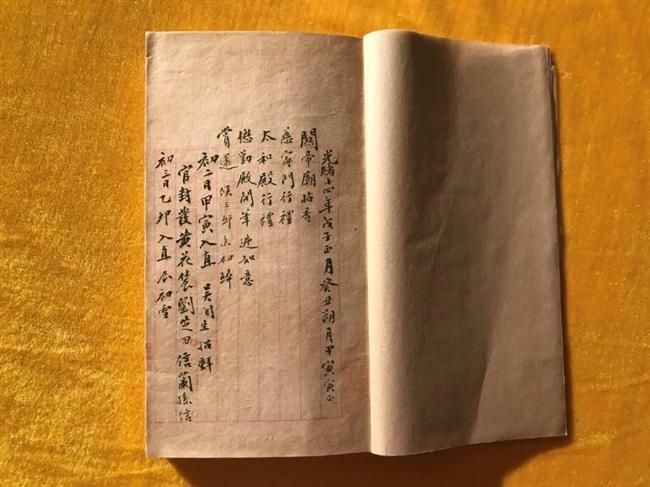 In 2015, Zhang was asked to repair the fragmented diary of Pan Zuyin (1830-90), a senior official and famous collector of the late Qing Dynasty (1644-1911). One challenge was the poor condition of the diary’s paper. Zhang handled the diary with kid gloves, carefully controlling the application of every dip of paste based on her intuition and experience. She also applied some special approaches during the restoration. Her persistence paid off. The diary was finally repaired. A specialist at Shanghai Library cleans an ancient document. To Zhang, book restoration is an art form. She stopped to point at the margin of a repaired book, which is used to protect the book from damage when researchers are reading it. Book restoration has trouble recruiting experts because the work is tiring and the pay nothing fancy. Many of the students who trained with Zhang in 1989 left the industry. At the same time, old professionals have retired. In 2007, when there were less than 100 qualified book repair experts nationwide, China initiated a national project to nurture a new generation of professional restorers. The number of such experts has increased to nearly 1,000. Beginning in 2012, centers have been set up around the country to train people in book restoration. Zhang is a teacher at centers in Shanghai and Hubei Province. She also teaches at Fudan University and the Shanghai Institute of Visual Arts. She is also a master of restoration of engraved stone inscriptions and rubbings. In that realm, she has participated in major inscription projects, including work on the iconic inscription in the Longhua Martyrs’ Cemetery. Led by her, Shanghai Library’s work in restoration has been listed as part of the city’s intangible cultural heritage.